Get free concrete5 installation and a smooth running site by choosing the right foundation, and say goodbye to file upload problems, permissions issues and other concrete5 hosting compatibility headaches! It just requires several click on your mouse and moreover, it is provided FREE of charge! What is European concrete5 Hosting? 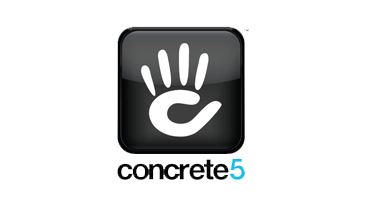 Concrete5 was designed for ease of use, for users with a minimum of technical skills. It enables users to edit site content directly from the page. It provides version management for every page, similar to wiki software, another type of web site development software. concrete5 allows users to edit images through an embedded editor on the page. You can build large and powerful applications with concrete5. concrete5 has a great flexible architecture makes it much easier to respond quickly as your client gets involved. Every concrete5 install has a nicely encapsulated core directory you never have to touch. concrete5 override structure lets you replace almost any file in the core by simply copying it to a separate spot in the file system. When you want to upgrade later, you will never have to run a diff to find your changes. Why Choose HostForLIFE.eu for European concrete5 Hosting?